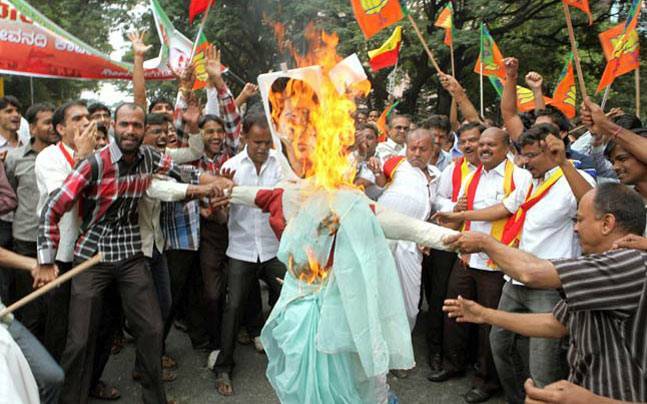 Karnataka is witnessing violent protests on Monday, Sept. 12, even as the Supreme Court modified its order on the Cauvery water-sharing issue. News headlines on YuppTv India. 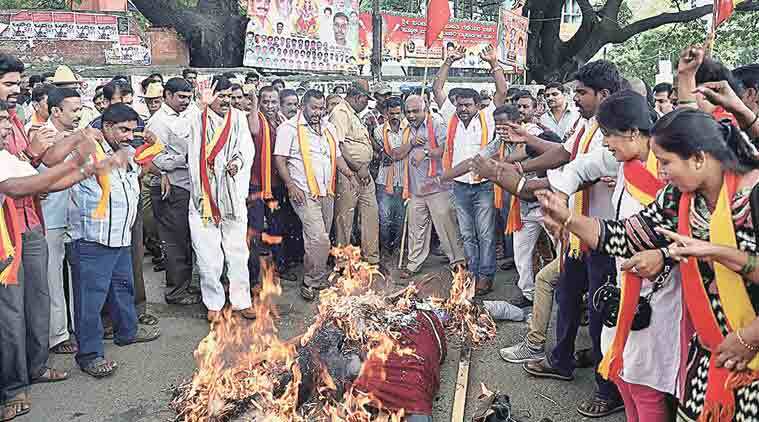 Traffic on major highways, especially towards the Cauvery basin area, came to a halt as protesters blocked roads against Monday’s Supreme Court direction to Karnataka to release Cauvery river water to Tamil Nadu. Protesters blocked a major highway in Karnataka and 700 buses were taken off roads in massive protests after the state was ordered by the Supreme Court to release Cauvery river water to neighbouring Tamil Nadu. 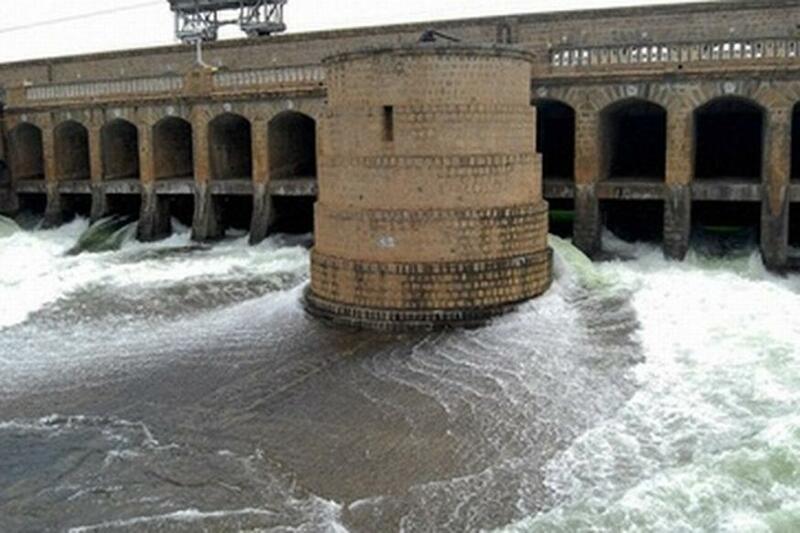 The farmers of Mandya district in Karnataka are observing a total bandh against the Supreme Court directing the state to release 15000 cusecs of Cauvery water to Tamil Nadu for the next ten days. Tamil Nadu farmer's protested near Egmore railway station against Karnataka government's decision to not provide Carvery river water to Tamil Nadu, this year. 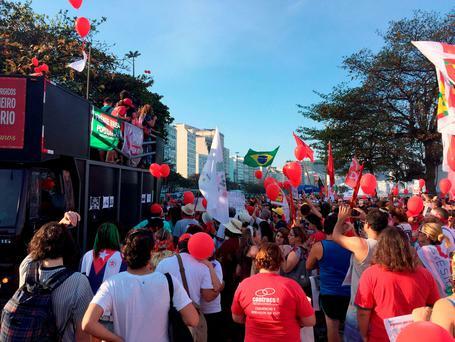 Thousands of anti-government protesters marched along Rio's Copacabana demanding ouster of President. 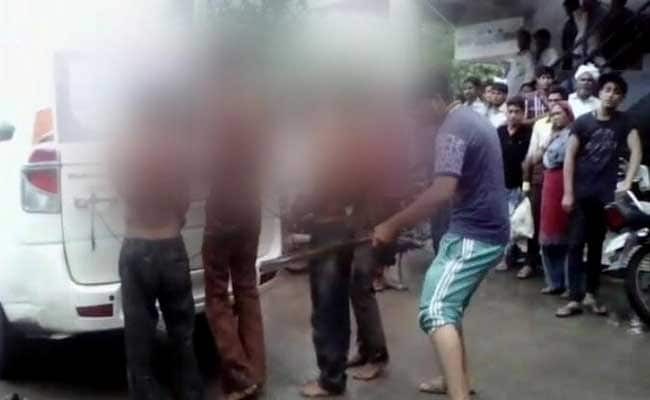 Seven young Dalit men attempted suicide in Gujarat and buses were set on fire in a wave of protests against the thrashing of four Dalit men last week over allegations of cow killing in Una, around 360 km from Ahmedabad. 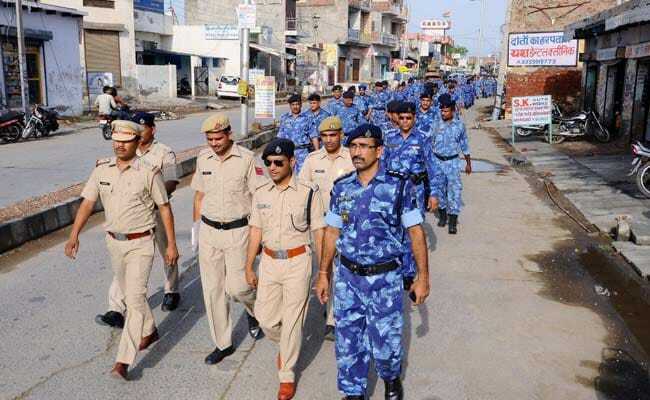 The Delhi Police will declare Section 144, banning large gatherings in border districts this evening as the Jats carried on protests for quota in jobs and education in neighbouring Haryana. The second round of agitation has so far been peaceful, with protesters moving to rural areas and the Haryana government tightening security to avoid a repeat of the violence in February that claimed at least 30 lives. Several workers of Bharatiya Janata Party (BJP) have been protesting in front of Chief Minister Arvind Kejriwal’s residence on Tuesday demanding proper electricity and water supply in the city. “It is really pathetic to note that even as Delhi is plunged in severe water and power crisis, the chief minister is busy in his political expansion in Goa and Punjab,” Delhi BJP president Satish Upadhyay said. 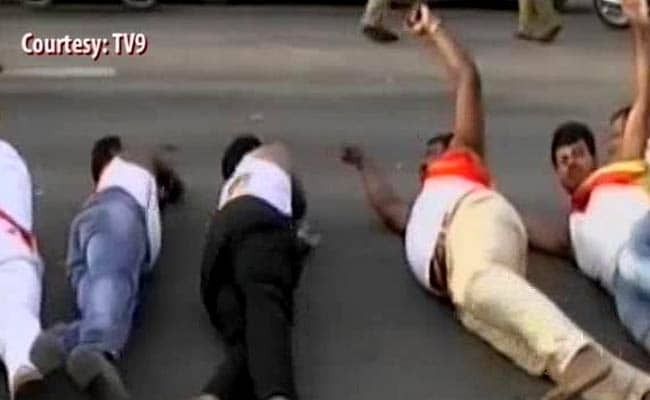 The BJP has called a bandh in Bihar's Gaya to protest against the murder of a class 12 student by a Janata Dal (United) MLC's son in a case of road rage late on Sunday. 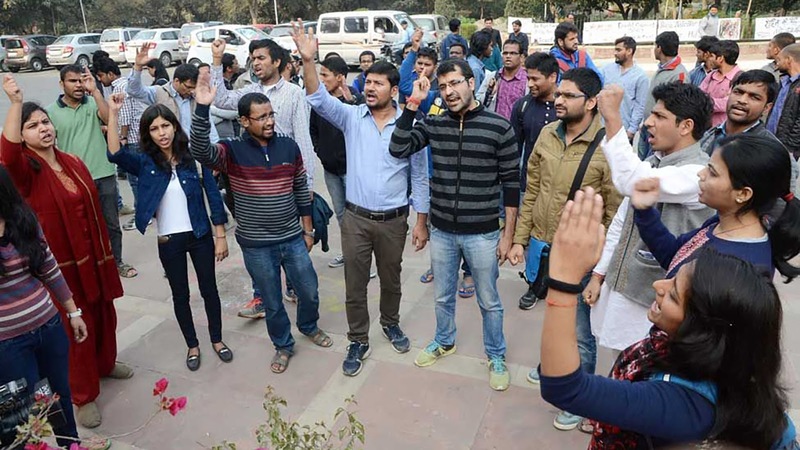 Protests erupted in the University of Hyderabad after news broke that the university VC Appa Rao Podile was to resume his tenure. 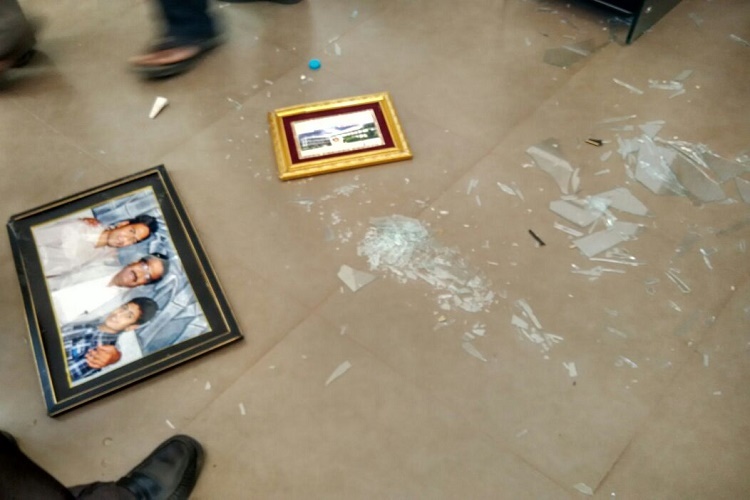 Students broke into the premises of the VC’s residence and vandalized his office. 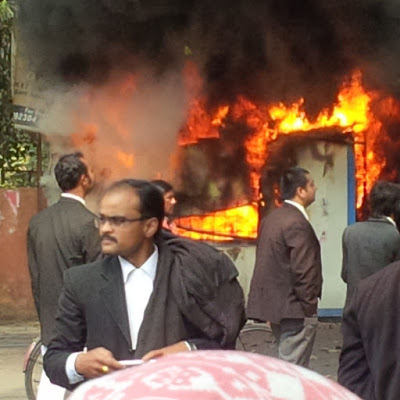 Lawyers in the capital city of Uttar Pradesh are protesting the alleged murder of a practicing advocate of the Lucknow bench of the Allahabad High Court.